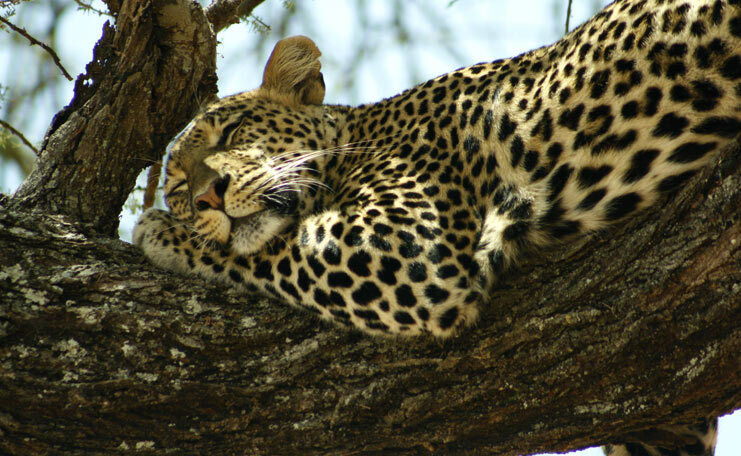 5 Days Tanzania Safari | . At 8:30am, you will depart for Lake Manyara National Park where you will do game drive; Lake Manyara is a shallow freshwater lake in Tanzania. It is said to be the “loveliest (lake) … in Africa,” Lake Manyara is covering 127 square miles (329 km2) of Lake Manyara National Park, the lake’s alkaline waters cover approximately 89 square miles (231 km2). It is famous for a good number of baboons and birdlife, also home to herbivores such as hippos, impalas, elephants, wildebeests, buffalo, warthogs, and giraffes, giant fig trees and mahogany seen in the groundwater forest. Stay overnight at Ngorongoro Farm House or Haven Nature Camp on Full Board basis. Serengeti Katikati Luxury Tented Camp or Seronera Camp on Full Board basis. Wake up call at 6:00am, in order to have just a cup of hot coffee then proceed for the early morning game drive, this morning game drive is very important as you will be able to witness the early morning kills from the big five only if you will be lucky enough. After the game drive back to the Lodge at 9:30am in order to have your main breakfast, there after you will check out the Lodge and proceed with game drives en–route to Ngorongoro Conservation Area Authority. Stay overnight at Rhino Lodge or Simba Camp – with fascinating view of the crater floor! 2 people Price cost US$ 1,712 per person. 4 people Price cost US$ 1,329 per person. 6 people Price cost US$ 1,202 per person. 2 people Price cost US$ 2,099 per person. 4 people Price cost US$ 1,716 per person. 6 people Price cost US$ 1,589 per person. International flight, Visas, Airport tax– but it can be paid direct by client(s), Tips, Sleeping bags – if required it can be hired locally, Other Drinks, Personal travel and Baggage insurance, Telephone bills, Emergency evacuation insurance, Laundry and any items of personal nature, departure transfers.